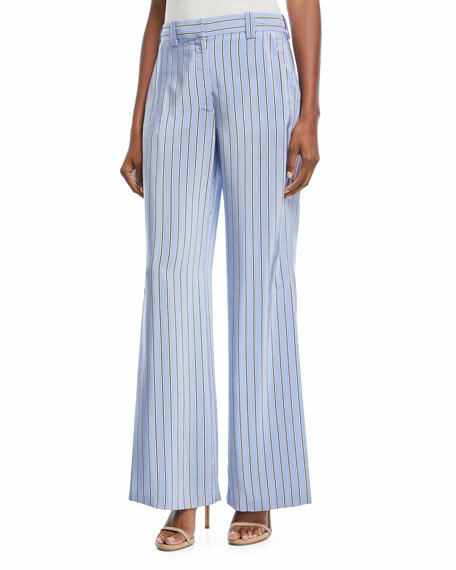 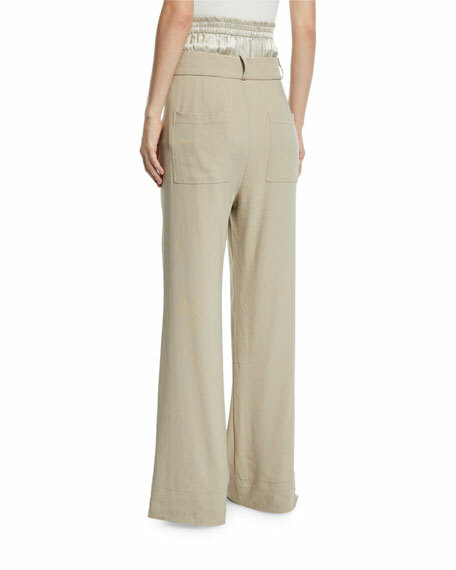 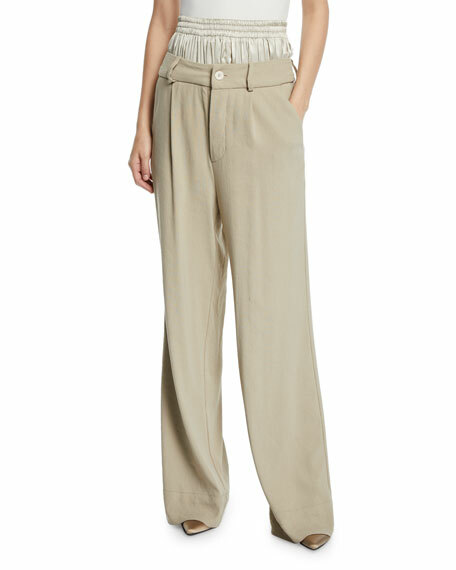 Tre by Natalie Ratabesi "The Ali" pants in linen twill, featuring a double waist pant detail. 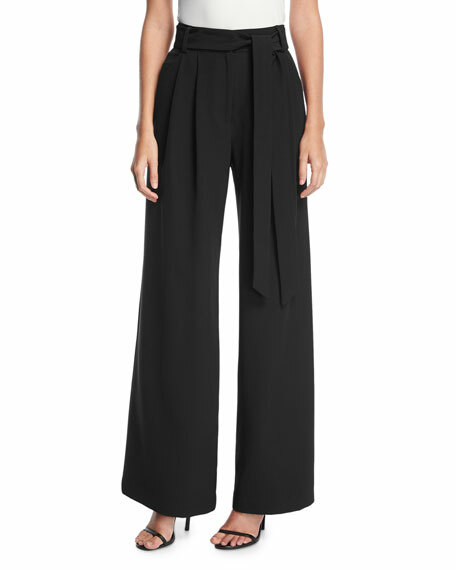 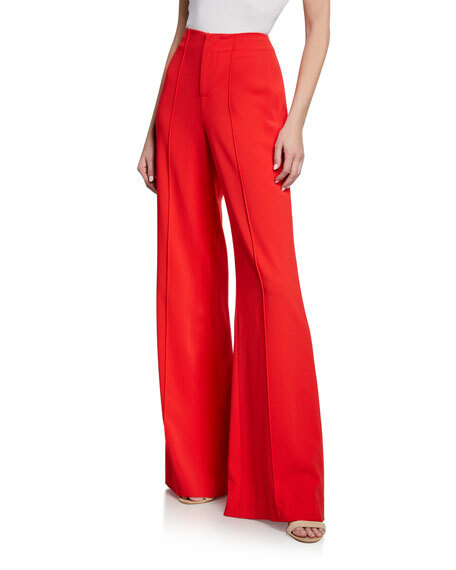 High rise elastic waistband and mid-rise second waist. 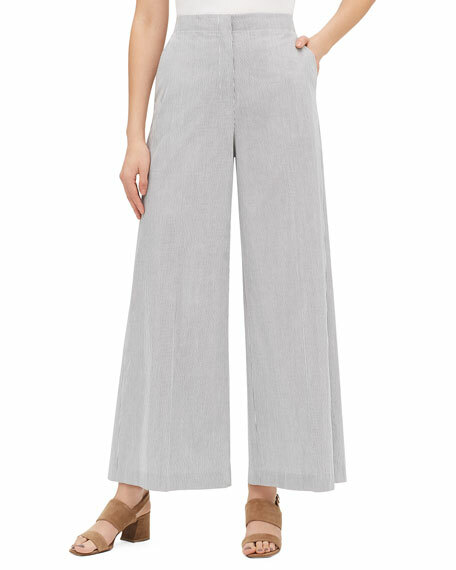 with flared legs.